Every 2 months, the curated PiB Guide presents selected highlights from Berlin’s vibrant photography scene – mainly exhibitions, but also events such as workshops, photobook launches, congresses, roundtable discussions, etc. – all with a focus on fine art & documentary photography. 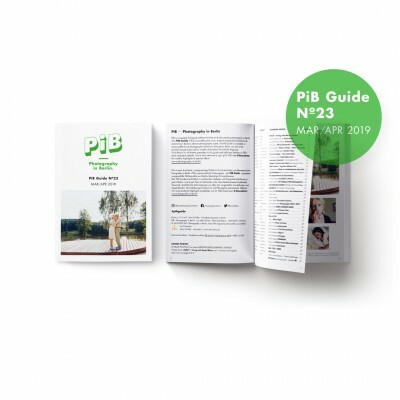 You can conveniently order your copy of the current PiB Guide Nº23 Mar/Apr 2019 here on PiB’s website! International shipping is offered worldwide. You can also find the guide in many galleries and photography institutions throughout Berlin. Please have a look below for a list of places. This issue of PiB’s bi-monthly art guide was published as an A6 booklet / 52 pages / with texts in English & German. Editor’s note: Submissions for the upcoming print issue are currently welcome. 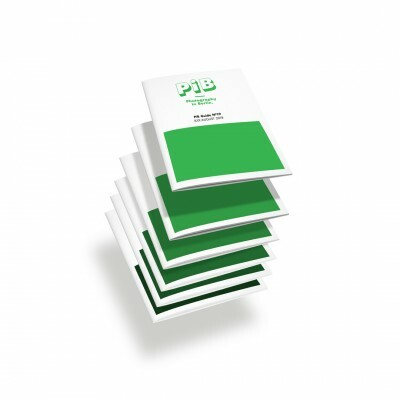 The editorial deadline for the PiB Guide Nº24 May/June 2019 is APRIL 13th 2019. 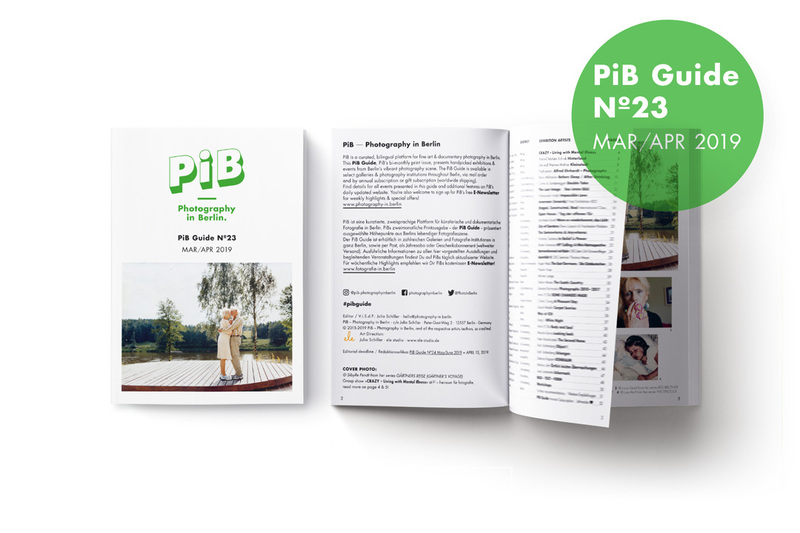 The PiB Guide Nº23 MAR/APR 2019 © PiB – Photography in Berlin. #pibguide. COVER PHOTO: At the River Nemuns, 2008, Lithuania, from the series GÄRTNERS REISE (GÄRTNER’S VOYAGE) © Sibylle Fendt / OSTKREUZ. Featuring the group exhibition »CRAZY – Living with mental illness« at f³ – freiraum für fotografie, Berlin-Mitte. 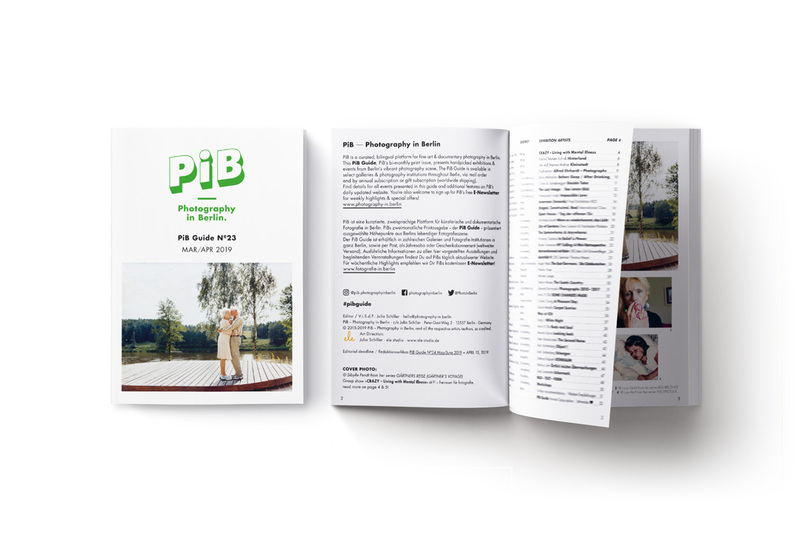 Do you run a cultural or photography institution in Berlin and would like to offer copies of the PiB Guide as a service for your art inclined visitors/clients/guests? Then please don’t hesitate to get in touch & place an order anytime.